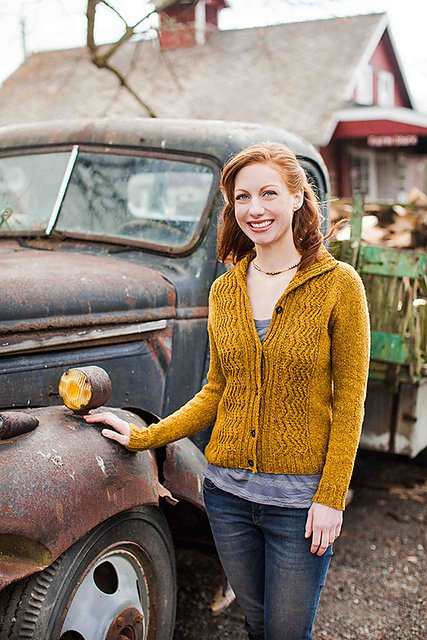 The latest installment from Brooklyn Tweed’s Wool People is out! Volume 5 has all kinds of stunning knits. Sweaters, shawls, and accessories, something for every knitter. All the patterns in this collection have that signature simple earthy vibe that I adore from Brooklyn Tweed. This edition has designs from all my faves too, Tanis Lavallee, Gudrun Johnston Amy Herzog and Veera Valimaki. My very favorite pattern is Reverb from Tanis Lavallee. It has a lovely waving stitch detail that looks oh so lovely in a tweedy yarn. With a folded over collar for a relaxed look, this sweater is right up my alley! Next up is Veera’s shawl, Bolt. 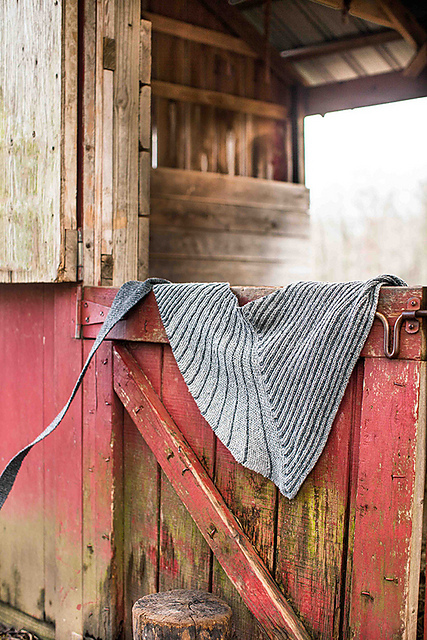 With a healthy dose of garter stitch and an interesting construction, this shawl is an instant wardrobe classic. Bolt is adorned with Veera’s favorite stripes in some charming tweedy neutrals. As with every Brooklyn Tweed production the photography is amazing. Blurred simple backgrounds show off beautiful colors and and excellent stitch definition. The models seem to be having a good time, but they aren’t posed in unnatural ways. Each picture makes me think ‘if I were walking on a farm, THAT’s the sweater I would want to have on’. I just love it! If you are looking to cast on, swing by and pick up some Harrisville Tweed. 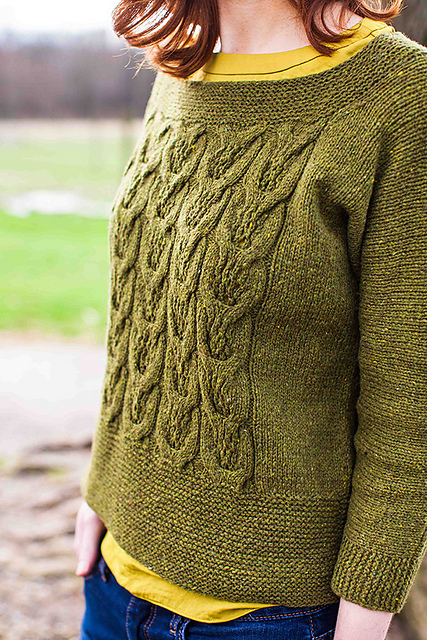 It’s the perfect rustic yarn for these springy knits. This entry was posted on Monday, May 13th, 2013 at 11:27 pm	and is filed under Uncategorized. You can follow any responses to this entry through the RSS 2.0 feed. Both comments and pings are currently closed.